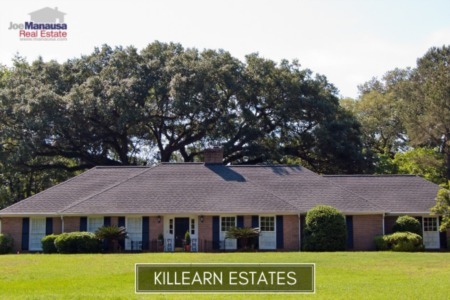 Buckhead is a small but popular NE Tallahassee neighborhood featuring nearly 160 newer executive level homes on half acre + lots. 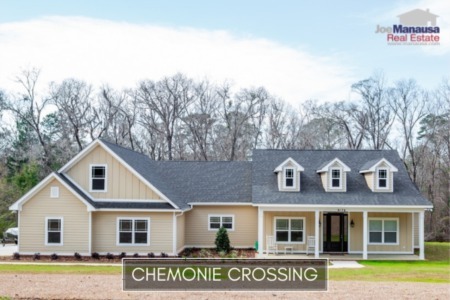 Located in the high-demand 32309 zip code on the east side of Centerville Road and across from Cameron Chase, Buckhead is a popular choice for people desiring a newer home in the vicinity of Killearn Estates and its amenities. It is important to note that the narrative contained below is for sales through December for all previous years, but through the third week in March in 2019. The graphs and the closed sales table will be continuously updated into the future (meaning bookmark this page if you always want to know the current status of homes for sale in Buckhead). The average home price in Buckhead in 2018 was $490K, nearly 8% higher than in 2017. But as you'll see in the following two graphs, this has nothing to do with appreciation, rather just larger homes were sold. Home sales activity in Buckhead remains consistent with what we have seen over the past ten plus years. Currently, there are four homes for sale in Buckhead and just one is under contract. Of course, it looks like there are five, but you'll notice that one home is shown twice. 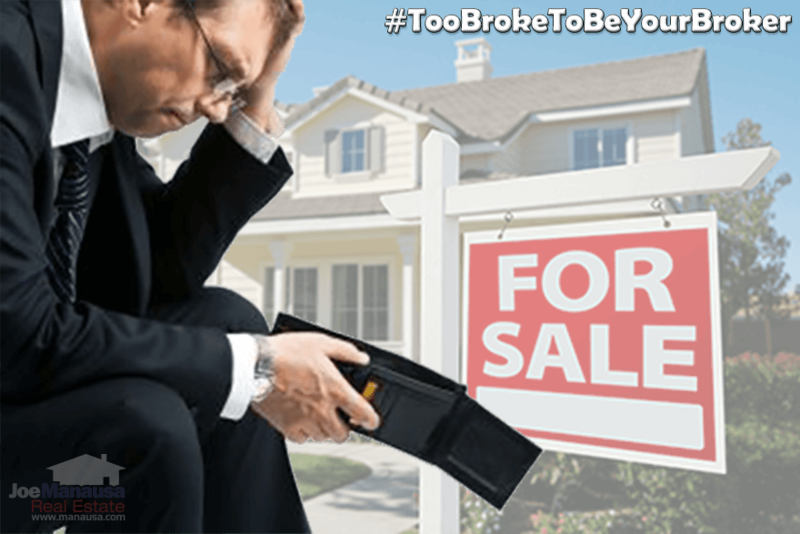 Some agents think this is a smart marketing method ... but notice neither version of the home listing is under contract. Want to know more about this type of marketing, read this. Buckhead average home values have not really moved over the past few years, as the neighborhood has seen new home sales stop and the resale market take over. The average value of a home sold in Buckhead in 2018 was $159 per square foot. The average home size sold in Buckhead typically falls in a range of 2,500 to 3,500 square feet, and 2018 was no different. The 8 homes sold in Buckhead in 2019 averaged 3,097 square feet. 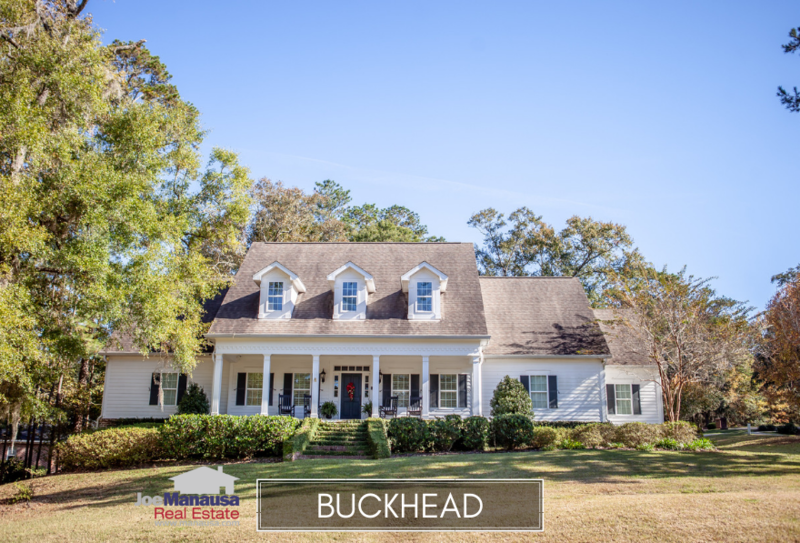 This concludes our March 2019 report on home sales in Buckhead, please give us a call at (850) 366-8917 or drop us a note if you have questions about this great place to live in the 32309 zip code. Give us a call about your move, you'll be thrilled with our 5-star service. Here's what people are saying about working with Joe Manausa Real Estate, you can see thousands of real customer reviews reported on Google, Facebook and Zillow right here: http://www.manausa.com/testimonials.